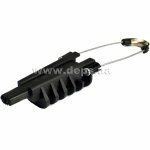 Anchoring clamp N3 is used for fastening and tension of self-supported round cables with diameter from 5 to 7 mm. 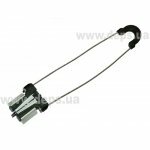 Tension clamps Crosver ASM-10 (anchor, wedge) are designed to fasten and hold stretched the cables type “8” (with suspending steel wire or cord). 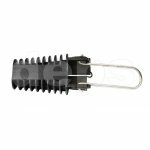 Sicame PC 63TR9 tension clamp in designed for anchor fixing of cable type 8 with external bearing element (4-9 mm in diameter). 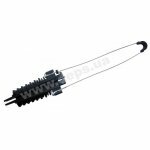 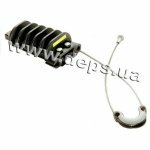 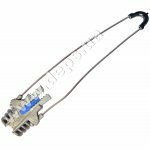 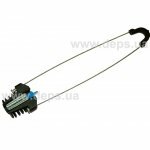 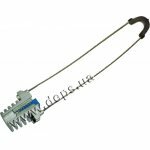 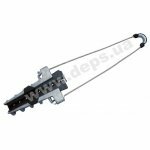 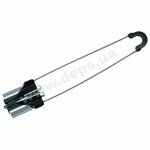 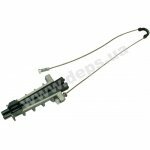 Clamps for fastening and holding stretched of cables type "8" (with a carrying steel wire or rope) and of cable type ADSS.